Children who learn English when they are young have an advantage that will stay with them all their life. They are self-motivated to pick up the language without conscious learning. They have the ability to imitate pronunciation and work out the rules for themselves. Children learn best when they are having fun and at Lilliput, we ensure that they have a fun time learning through various classroom activities. By using engaging materials, children will be excited to speak English in their everyday activities! With young children the work is primarily oral and learning is based on vocabulary building and set phrases. We use a story-based course that introduces young children to English first through listening and speaking, and then introduce word recognition and writing. Continuing with a story-based course, children are ready to read and write. They explore a world of fascinating facts with a topic-based approach. 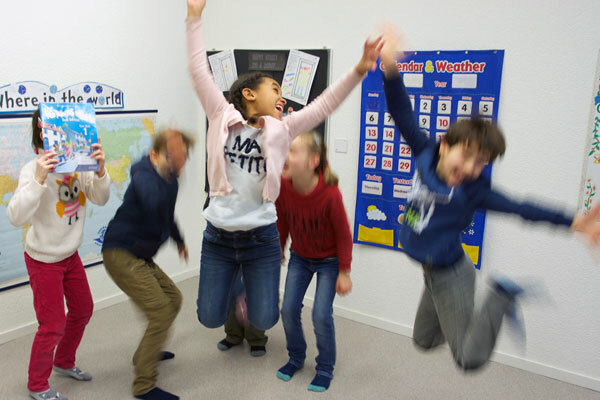 They further develop their English speaking, listening, reading and writing skills. Children are also given the option to prepare for and sit the Cambridge English: Young Learners Assessments.